Here’s a fun project that’s actually pretty unique, easy-to-make, and very creative. 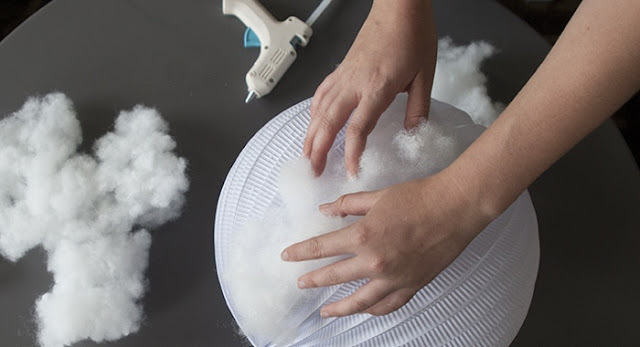 It’s a cloud that lights up, glows, and looks amazing graced on a wall or hung from a ceiling and it could be a great decoration for a baby shower or wedding..
For this lovely project you will need: paper lanterns, cotton batting, a wooden dowel, fishing wire or string, a hot glue gun, and battery-powered LED lights. Watch the video to find out more details and SHARE this project with all your crafty Facebook friends!